Science+ meeting organised in partnership with the British Academy and Royal Academy of Engineering by Professor John Shepherd CBE FRS, Professor Corinne Le Quéré FRS, Professor Cameron Hepburn, Nick Winser CBE FREng and Professor Richard Parker CBE FREng. Download the workshop report (PDF). The UNFCCC Conference in Paris reached agreement to hold global warming to “well below 2°C above pre-industrial levels”, meaning that global net greenhouse gas emission must be reduced to zero before 2100. The implications of the Paris Agreement goals, and the magnitude of achieving them while maintaining energy security, are not yet at all widely understood. This meeting will bring together scientists, engineers, social science experts and policy-makers to discuss the need for decarbonisation of the UK energy supply, the technology and policy options for achieving this, the consequences of doing so, and incentives that may be necessary. Recorded audio of the presentations will be available on this page within a month after this meeting has taken place. The schedule of talks and speaker biographies is available below. This event is the inaugural Royal Society Science+ meeting. Science+ meetings bring together pure science and a ‘+’ element. The additional ‘+’ element is formed from areas which build on, or function alongside science, for example, policy or public health. Enquiries: Contact the Scientific Programmes team. 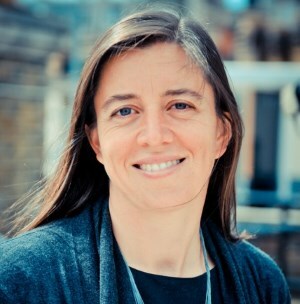 Corinne Le Quéré is Professor of Climate Change Science and Policy at the University of East Anglia and Director of the Tyndall entre for Climate Change Research. She conducts research on the interactions between climate change and the carbon cycle. Professor Le Quéré was author of the 3rd, 4th and 5th (ongoing) Assessments of the Intergovernmental Panel on Climate Change (IPCC) and of the Millennium Ecosystem Assessment. She co-Chairs the Global Carbon Project, a non-governmental organization that fosters International research on the carbon cycle and publishes annual updates global emissions and sinks of carbon dioxide. Professor Le Quéré is originally from Canada. She completed a PhD in oceanography in University Paris VI (1999), an M.S. in Atmospheric and Oceanic Sciences from McGill University and a BSc in physics from University of Montréal. She has conducted research at Princeton University in the United States and at the Max-Planck Institute for Biogeochemistry in Germany. 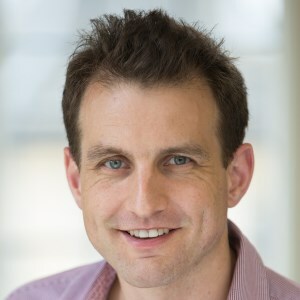 Cameron Hepburn is the Director of the Economics of Sustainability Programme, based at the Institute for New Economic Thinking at the Oxford Martin School. 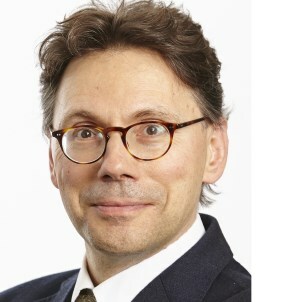 He is also Professor of Environmental Economics at the Smith School of Enterprise and the Environment, a Fellow at New College, Oxford, and a Professorial Research Fellow at the Grantham Research Institute at the London School of Economics. He has published widely on energy, resources and environmental challenges across a range of disciplines, including engineering, biology, philosophy, economics, public policy and law, drawing on his degrees in law, engineering and doctorate in economics. He is on the editorial board of Environmental Research Letters and is the managing editor of the Oxford Review of Economic Policy. Cameron’s research is often referred to in the printed press, and he has been interviewed on television and radio in various countries. Cameron provides advice on energy and climate policy to government ministers (e.g. China, India, UK and Australia) and international institutions (e.g. OECD, UN organisations) around the world. Cameron began his professional life with McKinsey, and has since had an entrepreneurial career, co-founding three successful businesses – Aurora Energy Research, Climate Bridge and Vivid Economics – and investing in several other social enterprises, such as Purpose and Apolitical. He also serves as a trustee for Schola Cantorum of Oxford. 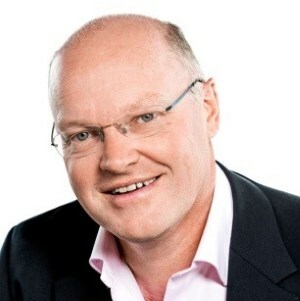 Nick Winser’s career within the energy sector spans over 30 years, culminating in his appointment as Chairman of Energy Systems Catapult in 2015. Prior to this, Nick served on the Board of the National Grid becoming its UK and European CEO in 2011. His extensive experience of the sector resulted in his election as President of the European Network of Transmission System Operators for Electricity (2013-2015) and his Chairmanship of CIGRE UK, the International Council on Large Electric Systems. Currently Deputy President of the Institution of Engineering & Technology, Nick will assume its Presidency later this year. Previously chair of the IET’s Membership & Professional Development Committee, Nick currently chairs the Finance and Investment Committee as well as the Power Academy. Additionally, Nick has a professional interest in the construction sector, having been a non-executive Director of Kier Group since 2009. 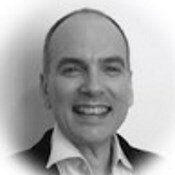 Active in the voluntary sector, Nick has been Chairman of the MS Society since January 2017. In 2014 he was awarded a CBE. Recently retired, Ric is a Special Advisor working in the areas of technology strategy and technology transfer. He works with BP, Rolls-Royce, A*Star Singapore and others. He is Chairman of the EU Clean Sky Joint Undertaking, a €4Bn aviation research programme. Ric is a Distinguished Visitor at the National Physical Laboratory, UK. He is a Visiting Professor in Mechanical Engineering at Imperial College, a Visiting Professor in Aeronautical Engineering at Loughborough University and an Honorary Professor in Materials Engineering at Birmingham University. Ric was Director of Research & Technology, Rolls-Royce Group from January 2001 to March 2016. He joined Rolls-Royce as a Chief Research Scientist in 1978, and has held a variety of engineering leadership and general management posts. Ric has been instrumental in influencing the aviation research strategies for the UK and EU. He has also been an active promoter of industry/university collaboration, supporting and extending Rolls-Royce’s University Technology Centres world-wide. 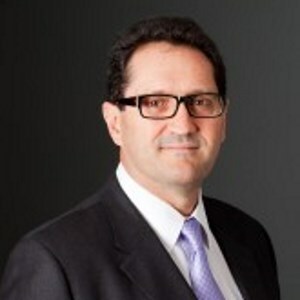 Ric was voted European CTO of the Year in 2014. He was made Commander of the Order of British Empire (CBE) in 2013 for 'Services to Engineering'. In 2016 he received the Royal Aeronautical Society’s Gold Medal. Baroness Brown is an engineer. An academic career at Cambridge University led to senior business and engineering roles at Rolls-Royce plc. Returning to academia as Principal of Engineering at Imperial College, she became Vice-Chancellor of Aston University from 2006–2016. Her current interests include climate change adaptation and mitigation and the low carbon economy. She serves as: Vice Chair of the Committee on Climate Change and Chair of the Adaptation Sub-Committee of the Committee on Climate Change; non-executive director of the Green Investment Bank and the Offshore Renewable Energy Catapult; member of the WEF Global Agenda Council on Decarbonising Energy. 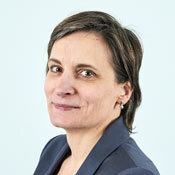 She led the King Review on decarbonising transport (2008), and is the UK’s Low Carbon Business Ambassador. She is passionate about education and engineering: she was a member of the Browne Review on university funding and Lord Stern’s review of the Research Excellence Framework. She now chairs STEM Learning Ltd., a not-for-profit company delivering science teacher continuing professional development, and the Henry Royce Institute for Advanced Materials. 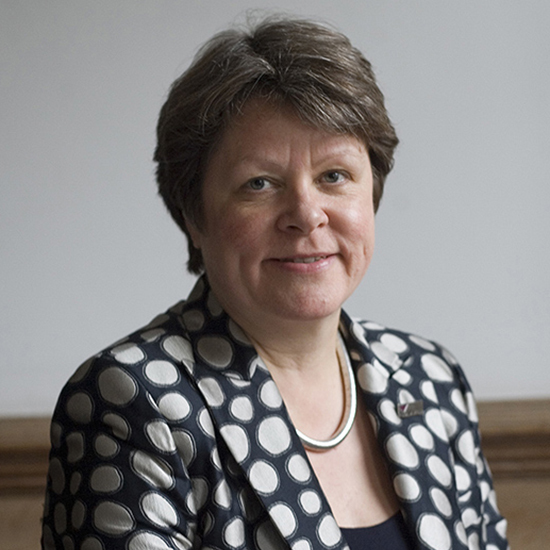 She is a Fellow of the Royal Academy of Engineering and of the Royal Society, and was awarded DBE for services to higher education and technology. In 2015 she was elevated to the Peerage as The Baroness Brown of Cambridge. She is a crossbench Peer, and a member of the House of Lords European Union Select Committee. Global emissions of carbon dioxide need to peak and decline rapidly to limit climate change to levels consistent with the ambition of the Paris Agreement. The growth in CO2 emissions from burning fossil fuels and industrial processes has been near zero in the past three years, after a decade of rising by 2.5% per year on average. This presentation will unpack the reasons behind the ups and downs of global CO2 emissions in recent decades. It will show how trends in China are largely behind both the rapid rise in global emissions of the 2000s and their recent stalling during 2014-2016, but that decarbonisation of energy systems is set in motion in over 25 industrial economies. The prospect for peak emissions in the coming years will be put in context of these recent trends. To restrict the rise in global mean temperatures to between 1.5 and 2C above the pre-Industrial level will require not only steep reductions in emissions, but also the removal of carbon dioxide from the atmosphere. A wide range of techniques to achieve this end have been proposed, but there is currently an absence of mechanisms that would incentivise research, development, demonstration and deployment. This talk will explore the range of techniques, their potential and barriers to their deployment. “BP regularly analyses trends in energy supply and demand, underpinned by our view of the underlying technologies. We also publish analyses such as our Energy Outlook and Technology Outlook, as a basis for discussing with a range of stakeholders the changes that could shape our industry and others. Today, the pace of change in the energy sector is accelerating. The world faces the dual challenge of meeting society’s need for more energy, while at the same time reducing emissions. As scientists and engineers we recognise in particular the urgency of this challenge – and we intend to be part of the solution. As Group Head of Technology, David Eyton is accountable for technology strategy and its implementation across BP, including corporate venture capital investments and conducting research and development in areas of corporate renewal. In this role, David sits on the UK Energy Technologies Institute and Oil & Gas Climate Initiative (OGCI) Climate Investments Boards. David attended Harrow School and joined BP in 1982 from Cambridge University with an Engineering degree. David is a fellow of the UK Royal Academy of Engineering, Institute of Materials, Minerals & Mining and Institute of Directors, and also a trustee of the John Lyons charitable foundation. 12:10-12:30 The Energy System – where do we go from here? The production and consumption of energy crosses multiple vectors, time-scales and geographies, involving technologies, markets and behavioural factors. It is practically a truism to call for ‘whole system’ thinking when considering policy interventions, and yet interactions between actors within the system are hard to realign so that they reflect such an approach. Barriers based on the current paradigm could slow down the transition to a low carbon society: customers pay for units of gas, electricity or petrol; support for low carbon is viewed as a subsidy relative to the cost of fossil fuel without externalities; decentralised or distributed systems are emerging in a piecemeal fashion; funding for technological innovation is often driven by short term goals. Decarbonising heat and integrating ever greater amounts of variable renewable electricity will be the big energy system challenges for the 2020s – this requires joined-up long-term energy and innovation policy that is awaited. Dr Jonathan Radcliffe is a Senior Research Fellow at the University of Birmingham. His research focuses on policy and techno-economic analysis of energy systems, in particular integration of thermal and electrical energy storage in local networks. 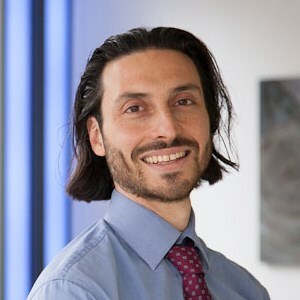 Jonathan is part of several projects funded by the UK research councils, including leading a £5m EPSRC-funded project, ‘Manifest’, which combines national energy storage facilities within a joint research programme; and as co-Director of the £4m national Energy Storage Supergen Hub, for which he leads engagement with policy makers and regulators. Other research projects consider energy technology innovation and decision-making processes. 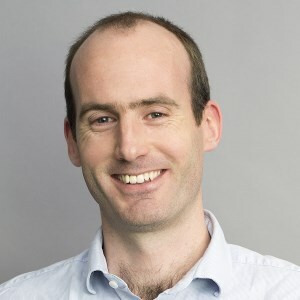 Jonathan studied physics at Imperial College and Cambridge, followed by some atmospheric modelling at the UK Met Office, but has spent much of his career in and around Westminster, covering science and innovation policy. He joined Birmingham in 2013. The electrification of road and rail transportation promises to be one of the major contributions to the transport network. However, the impact of IT and communication technologies may have equally profound consequences on the way people and goods move around. It is important that we think carefully about the future of transport to ensure we optimize the outcomes for people, businesses and the planet. Paul Campion took on the leadership of the TSC in July 2017. His previous experience spans not only leadership roles in IBM’s Travel and Transport on consumer products businesses but also in the IBM software business, financing business and other executive roles. Whilst at IBM he had management roles in the European and worldwide business as well as the UK, and lived and worked in the USA, France and Switzerland. His association with the TSC goes back to before its formal creation, as part of the Industry Advisory Group which helped to define its role and structure. He has also served as a Non-Executive Director on its Board. The aviation and shipping sectors have drawn research interest over the past decade for three principal reasons. Firstly, emissions released in international airspace and in international waters, even if directly linked to the activities of ‘Annex 1’ citizens, were omitted from the national targets set for Annex 1 nations within the Kyoto Protocol. Secondly, the international organisations presented with a mandate to develop mitigation measures targeting these sectors – the International Civil Aviation Organisation (ICAO), and the International Maritime Organisation (IMO) – have made extremely slow process compared with other sectors. Finally, whilst frequently coupled within the climate change debate, the aviation and shipping sectors face very different challenges and opportunities in delivering meaningful mitigation efforts (Bows-Larkin 2014). With both sectors estimated to be contributing a share of annual global CO2 emissions equivalent to one of the top ten emitting nations, constraining further CO2 growth is an essential research area. The long lead-times for technological deployment governed by the capital intensive nature of aircraft, ships and related infrastructure, raises serious questions around the ability of these sectors to be able to respond, at least technically, to constraints posed by 1.5°C and 2°C carbon budgets. In this presentation, the 1.5°C and 2°C temperature goals are interpreted for the aviation and shipping sectors, assuming these sectors deliver a “proportionate response”. The constrained proportional budget is then contrasted with existing industry projections to illustrate the gap between the Paris ambition and industry expectations. Finally, technical insights around available biofuel options, coupled with an interrogation of more radical decarbonisation possibilities and their deployment timeframes, including virtual communication, is synthesised to draw conclusions regarding the ability of these sectors to ‘fit’ within the Paris Agreement constraints. Bows-Larkin, A. 2014. All adrift: aviation, shipping, and climate change policy. Climate Policy, 1-22. Alice is Head of the School of Mechanical, Aerospace and Civil Engineering and a researcher in the Tyndall Centre for Climate Change Research, University of Manchester. Alice trained as an astrophysicist in Leeds, did her PhD in climate modelling at Imperial College, then worked in science communication. She returned to academia joining the Tyndall Centre in 2003 to research conflicts between climate change and aviation policy. 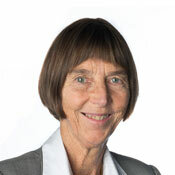 Her work on carbon budgets helped shape the UK’s Climate Change Act and inclusion of aviation within policy frameworks. She became a Professor in 2015, was awarded a University ‘Researcher of the Year’ award in 2016 and leads EPSRC projects on the Water-Energy-Food nexus and decarbonising shipping. David is an Emeritus Professor in the Department of Animal and Plant Sciences in the University of Sheffield. He has had a career long research interest in the symbioses between plant roots and fungi- mycorrhizas-which facilitate nutrient exchange and significantly contribute to the carbon balance of ecosystems. He was lead author of The Read Report (2009) 'Combating Climate Change-a Role for UK Forests' (220pp Stationary Office, Edinburgh) which provided an in depth analysis of the potential of afforestation to contribute to decarbonisation in the UK. He was Vice President and Biological Secretary of the Royal Society between 2003 and 2008. Better stewardship of land is essential to achieving Paris Climate Agreement goals of holding warming well below 2°C. A comprehensive assessment of 20 different “natural climate solutions” spanning forests, grasslands, wetlands and agriculture has shown that these strategies can globally deliver more than 11 Gt CO2e per year of greenhouse gas mitigation by 2030 at effective CO2 prices of 2e. Ambitious action on all 20 strategies could cumulatively deliver 37% of the cost-effective mitigation needed by 2030 for a >66% chance of holding warming below 2°C, while delivering widespread co-benefits. One half of that opportunity represents carbon sequestration, and one third of the total is available at 2e. This more comprehensive assessment underscores the critical opportunities to restore forests, improve commercial forestry and agricultural practices, and conserve sensitive wetland ecosystems both globally and in the UK, as well as supporting more conventional global climate priorities such as reducing tropical deforestation. Justin Adams has spent more than 20 years championing innovation and sustainability in the private and public sector. He joined The Nature Conservancy as Global Managing Director for Lands in April 2014. In this role, his focus is on integrated landscape strategies to achieve high-impact conservation and development outcomes on a large scale. He leads a broad team of Conservancy experts, working at the intersection of global development and environmental challenges, including sustainable agriculture, forests and climate change, siting and mitigation, and indigenous and communal conservation. Justin is a Fellow at the Smith School of Enterprise and the Environment at the University of Oxford and completed a role as Chairman of Mendel Plant Sciences in 2015. He received a Bachelor’s degree in Business Administration and Management from the University of Bath, in the United Kingdom. Limiting future climate change requires urgently decreasing CO2 emissions through decarbonisation of energy supplies and developing approaches for carbon dioxide removal (CDR) from the atmosphere. Biogeochemical improvement of croplands by amending soils with crushed fast-reacting silicate rocks may represent a CDR strategy that also improves crop production, protection from pests and diseases, and restores soil health. It could, therefore, generate strong financial incentives for widespread adoption in an agricultural sector where rapid deployment at scale is feasible. Recycling massive quantities of silicate waste materials could help meet the rock requirements in a cost-effective manner. Nations that contributed most to the cumulative 565 ± 55 GtC release since the pre-industrial era (1870) that contributed most to global warming, including China, USA, India and European countries, mainly Germany, France and the UK, appear best placed to undertake the greatest share of atmospheric carbon clean-up in this way. Professor David Beerling FRS is the Sorby Professor of Natural Sciences and Director of the Leverhulme Centre for Climate Change Mitigation, a newly established Research Centre funded by the Leverhulme Trust. Drax Power Station has shifted from being the largest carbon emitter in the UK to the biggest decarbonisation project in Europe, now producing 17% of the UK’s renewable electricity. It has done this by converting three of its six generators to run on sustainable biomass rather than coal. Biomass, alongside other renewables such as wind and solar, has led to a rapid decarbonisation of the UK electricity system and Andy Koss will explore the pros and cons of this innovative technology. He will also talk about the other services that biomass-fired power stations can provide to the electricity system as dispatchable, fossil-fuelled power stations are increasingly replaced by intermittent, renewable technologies. 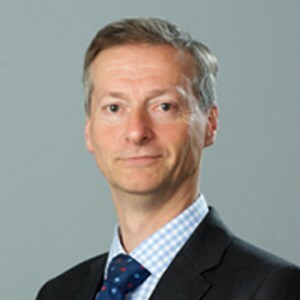 Andy Koss is Chief Executive of Drax Power Ltd. His principle responsibilities are managing Drax Power Station, the UK’s largest single source of renewable electricity, and running the power generation business unit within Drax Group plc. Prior to joining Drax, Andy was Deputy Group Treasurer at Provident Financial plc. Andy originally qualified as a Chartered Accountant with Coopers & Lybrand (now PwC) and has worked in various investment banking roles at Lehman Brothers, UBS and Dresdner Kleinwort Benson. Historically the energy sectors have been siloed, but this is changing at a rapid pace. Electricity generation and transportation fuels are the first to undergo once in a generation shifts in production, distribution and business models, but heat is rapidly moving up the agenda. This talk will contrast the drivers behind the changes in the different sectors, and look at what lessons for policy and investment in new technologies can be gleaned from previous introductions of environmental related legislation. It will then look at the options for decarbonised heat in domestic and industrial heating duties, and reflect on the status and opportunities for current and next generation steam methane reforming technologies. Iain Martin is the Innovation and Technology Director for Efficient Natural Resources Sector of Johnson Matthey. Iain is a chemical engineer whose career has focussed on the development, commercialisation and licensing of technologies within the petrochemical sector from both a technical and a commercial sense. Iain’s current role focusses on more significant growth opportunities, several of which are involved in the renewables and low carbon sectors. Providing space heating to our buildings causes a substantial proportion of our greenhouse gas emissions and if we are to hit our environmental targets at reasonable cost we will need to deploy a range of new technologies to reengineer this part of our energy system. We expect the best set of solutions to be heavily influenced by the local context and understanding customers’ wishes and how they will interact with new products and services will be crucial. Reducing the energy demand for space heating will also be important. Likely technologies include: heat pumps; heat networks using waste heat; CH; hydrogen; and biofuels. The very high peak demands for heating will also make heat storage innovation highly attractive. The best choices will depend on the heat resources available and the existing energy infrastructure in each area. Furthermore, the changes in how we provide customers with heat, the electrification of transport, and the widespread deployment of wind turbines and photovoltaics to decarbonize the electricity system will result in dramatic changes to the amount of energy that we need to move around on our energy networks. Regarding the decarbonisation of the world economy by 2050 as a complex civil engineering project, Professor Kelly will show the nugatory and costly progress so far. He will show that solar and wind energy systems lack the productivity of fossil or nuclear fuel systems in terms of energy return on investment, and that widespread adoption of either or both will come with a decrease in overall economic activity, a consequence that has not received adequate attention in previous meetings of this kind. Professor Kelly contends that megacities with 10M people or more, where half of the world’s population will reside in 2050, will not be served by other than fossil or nuclear fuels for most of their energy and electricity needs. Mis-investments in the space will have lasting and damaging consequences, so we must be careful and rigourous. 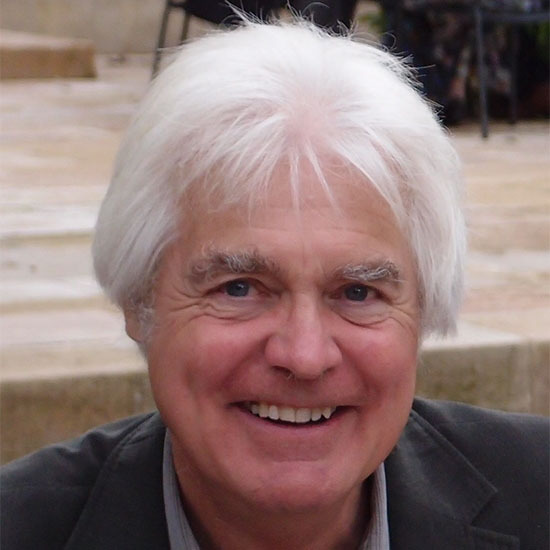 Michael Kelly is Emeritus Prince Philip Professor of Technology in the University of Cambridge since 2016, and an Emeritus Fellow at Trinity Hall. He was born in New Zealand and completed studies to MSc level at Victoria University of Wellington (1971), and a PhD in solid state theory from Cambridge (1974), followed by postdoctoral research until 1981. He was a member of the research staff of GEC Hirst research between 1981-1992, where he led the development of two new generations of microwave device that went into production. Between 1992 and 2002 he was at the University of Surrey, including a term as head of the School of Electronics, Computing and Mathematics. He returned to Cambridge in 2002 as the inaugural Prince Philp Professor of Technology. 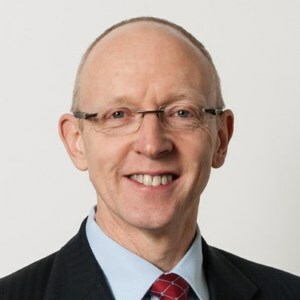 He led the Cambridge end of the Cambridge-MIT Institute 2003-5, was Chief Scientific Advisor to the Department for Communities and Local Government 2006-9, and non-executive director of Laird plc 2006-15. He is a Fellow of the Royal Society of London, the Royal Academy of Engineering, Honorary Fellow of the Royal Society of New Zealand and a member of Academia Europaea. The manufacture of cement and reinforced concrete artefacts accounts for approximately 10% of anthropogenic carbon emissions; some 3 GT/year. This talk will explore the potential impact of some of the options available for reducing these emissions; using non-carbonate feedstocks; using less concrete for the same function; using wastes to partially replace cement; improving the process energy efficiency; using existing concrete better; and extending the service life of components and structures. An optimistic assessment of combining these options suggests that emissions could be reduced by up to 70%, with by far the biggest potential contribution associated with lifespan extension and reuse. Phil Purnell is Professor of Materials and Structures in the School of Civil Engineering, University of Leeds (UoL). Prof. Purnell is the current Director of the UoL "Cities" research theme, leading research to ensure that infrastructure systems can adapt to changes in how we use them and the social and physical environment in which they are financed, created, managed and used. He has managed projects and networks at the intersections between Engineering; Materials; Social, Environmental and Medical Sciences; Art; and Music and is currently PI on both the £4.2m EPSRC “Grand Challenge” project investigating the role of robots in city infrastructure maintenance and the £1.4m NERC/ESRC CVORR project, looking at revaluing wastes and the processes that produce them. 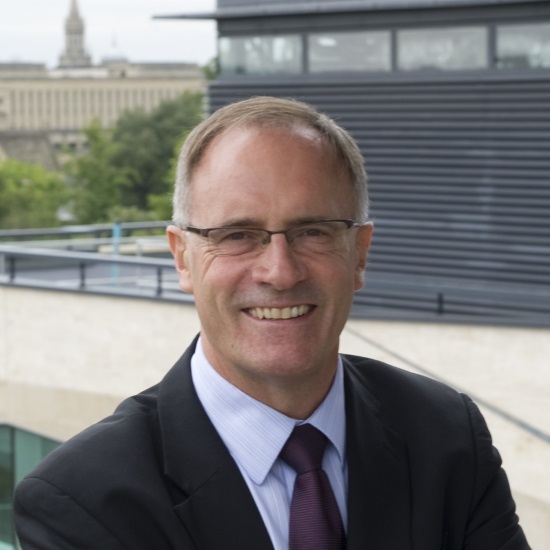 He co-ordinates the Leeds WPs for the EPSRC/ESRC £4m iBUILD Infrastructure Business Models Centre, and is Convener for the £7M NERC Resource Recovery from Waste Programme Coordination Team. Prof. Purnell's background is in concrete technology but his current publication portfolio also spans composite durability, biomaterials, critical materials, infrastructure transitions, carbon footprints for construction materials, 3D printing and non-destructive testing. Henri co-founded AKINOVA, an insurance technology company, with a specialist ILS (insurance linked securities and related insurance products) London-based City fund manager. Prior to this, he served as CEO of a British tech company (Intelligent Energy, grew from 40 people to $1bn IPO). He served on several Boards in the UK, Singapore, India, Japan and the US in the energy, software services, film contents publishing and automotive sectors. 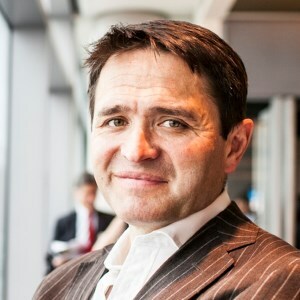 He also served on the Board of an EU funded €1bn+ public private tech partnership (PPP) and on several advisory bodies to Ministers, Secretaries of State and Officials in the new energy, automotive and materials science sectors in the UK as well as on the Alumni Advisory Board of the Warwick Business School and of the University of Cambridge. He has more than a dozen patents granted and pending as well as papers with topics including composite materials, neutron diffraction and processes to improve industrial product development cycles. He is regularly invited to speak at international conferences and spoke in the US Senate and French Sénat. He provides advice to selected major global institutional, venture capital and private equity funds. In addition to meeting several Heads of State including that of France, India and the UK over the last few years, he has made several appearances on live and recorded TV and Radio programmes (e.g. Live CNBC TV, Live Bloomberg TV, Live BBC Radio 4 “The Today Programme”, recorded BBC and other programmes, provided thought leadership and quoted articles in broadsheets, e-newspapers and The Huffington Post). He is married to Anne and has a son, Alexander. Innovate UK is the UK Government's innovation agency. Global market opportunities for the products of UK research and Innovations are created by the need for clean, affordable and resilient energy. Commercially-focussed innovations in fuel cells and hydrogen technologies in development by UK business and research communities are in scope for the Energy Catalyst and other Innovate UK competitions. A selection of these innovations will be presented. Michael Priestnall is Innovation Lead in Energy for Innovate UK where he is responsible for the Energy Catalyst competition – this programme has, to-date, competitively grant-funded around 250 UK energy innovation projects with a budget ~£90m. Michael is an energy and materials chemist and has co-founded three technology companies in fuel cells, photovoltaics and carbon capture. Previously, Michael led Energy Consulting at Sagentia in Cambridge, and development of advanced ceramics for fuel cells and superconductors for Cookson Group in Oxford. Michael held an EPSRC Energy Research Fellowship at University of Cambridge and was a British Gas Research Scholar in ceramic fuel cells at Imperial College. Harnessing renewable energy sources to drive the synthesis of energy dense fuels and chemical feedstocks has the potential to address several key challenges for reducing CO2 emissions: providing a scalable strategy for energy storage in chemical bonds (the most energy dense storage strategy by mass), providing carbon neutral pathways to sustainable fuels for transport applications and feedstocks for the chemical industry and, where targeted on CO2 reduction to chemicals, providing a market for carbon dioxide utilisation. ‘Green hydrogen’ produced by the electrolysis of water powered by photovoltaics or wind turbines is already being demonstrated in the UK, with significant ongoing cost reductions. In the longer term, rapid scientific progress is being made in directly harnessing sunlight to drive the photolysis of water, and the reduction of carbon dioxide to carbon based fuels. My talk will review recent advances in the science and technology which can enable such pathways, and discuss their future potential. 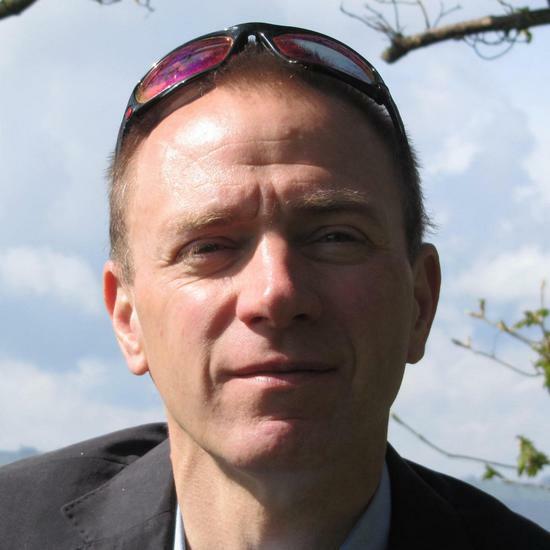 James Durrant is Professor of Photochemistry in the Department of Chemistry, Imperial College London and Sêr Cymru Solar Professor, College of Engineering University of Swansea. His research addresses the photochemistry of new materials for solar energy conversion – targeting both solar cells (photovoltaics) and solar to fuel (ie: artificial photosynthesis). It is based around employing transient optical and optoelectronic techniques to address materials function, and thereby elucidate design principles which can help guide technological development. His research is currently addressing the development and functional characterisation of organic and perovskite solar cells, and photoelectrodes and photocatalysts for solar driven fuel synthesis. In addition to his core research activities, Professor Durrant leads Imperial’s Centre for Plastic Electronics and the Welsh Government funded Sêr Cymru Solar initiative. 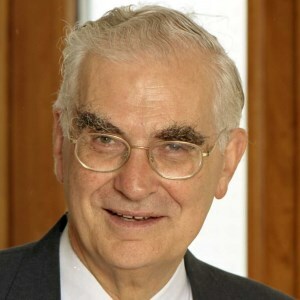 He also founded the UK’s Solar Fuels Network, and was founding Deputy Director of Imperial’s Energy Futures Laboratory. His awards include both the Environment (2009) and Tilden (2012) Prizes of the RSC. He was elected a Fellow of the Learned Society of Wales in 2016. The main challenge to substitute fossil fuels with renewable energy (RE) sources is the intermittency of the latter. Energy storage (ES) systems have been proposed as a solution to bridge intermittency as they can store RE, and use it when the energy demand is higher than the supply. Several types of ES technologies are available, and they differ in terms of their energy density, charge time, self-discharge, capacity, efficiency and cost. There are two important questions that need to be answered when selecting the most appropriate ES technology for a given problem: the amount of energy that needs to be stored, and the duration distribution of the stored energy. Both of these quantities depend on how well the RE and demand profiles match, but there is little discussion that both short and long term duration ES are needed in most situations. We have been studying methods (a) to determine the distribution of short vs long duration storage requirements for different geographical locations, and (b) to size and cost long duration ES technologies. Our research focus has been the production of ‘green’ ammonia (using H2 produced via water electrolysis powered by RE) as opposed to ‘brown’ ammonia (using H2 from steam methane reforming (SMR)). ‘Green’ ammonia can be used as an energy storage vector, but in its current use as raw material for the production of fertilisers could also avoid the large amount of CO2 emissions originating from SMR (an estimated 1.3% of worldwide CO2 emissions). The production of ‘green’ ammonia has been technically feasible for many years, but it has not been competitive economically. Recent models indicate that reductions in the cost of RE begin to make it possible to produce ‘green’ ammonia economically, but a competitive ammonia-based ESS would also need to account for the effect of intermittency as it affects the size and operation of the ESS. We have identified a number of key variables that influence the levelised cost of ammonia (LCOA) and have developed a model to quantify the dependence of LCOA with respect to those variables: energy source mix (solar PV, wind and grid), LCOE, electrolyser CAPEX, relative size of the ESS components, and load ramping capabilities for each of those components. The talk will also briefly discuss future technologies that will provide further opportunities to reduce the cost of ‘green’ ammonia such as new electrolyser technologies and improved reactor design for ammonia synthesis. Dr Rene Banares-Alcantara is a Reader in Engineering Science at the University of Oxford. He has an I.Q. degree from the Facultad de Quimica, UNAM (Mexico) and an MSc and PhD from Carnegie Mellon University (Pittsburgh, USA), all of his degrees are in the field of Chemical Engineering. His research interests are in the area of Process Systems Engineering (mainly process design, synthesis and simulation, but also diagnosis and control) and the development of decision support tools. For the last three years he has been involved in projects related to long-term (chemical) storage of renewable energy and the production of ‘green’ ammonia. He has (co-)authored 60 journal papers and around 100 other refereed publications of various kinds. 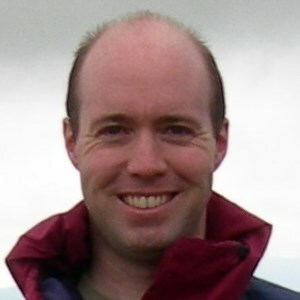 Chris Llewellyn Smith is Director of Energy Research, Oxford University. He is interested in energy systems (supply and demand), including particularly the challenge of accommodating large contributions from intermittent sources of electricity. He served as: President of the Council of SESAME (Synchrotron-light for Experimental Science and Applications in the Middle East), Chair of the Council of the world fusion energy project ITER, Director of the UK's fusion programme, Provost and President of University College London, and Director General of CERN (1994-1998, when the Large Hadron Collider was approved and construction started). 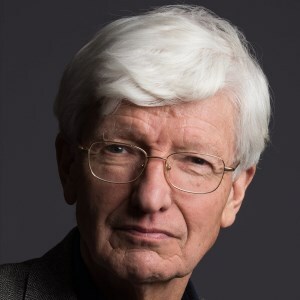 He has written and spoken widely on science funding, international scientific collaboration and energy issues, and served on many advisory bodies nationally and internationally, including the UK Prime Minister’s Advisory Council on Science and Technology (1989-92). His scientific contributions and leadership have been recognised by awards and honours world-wide, including most recently the Royal Society’s Medal in 2015. 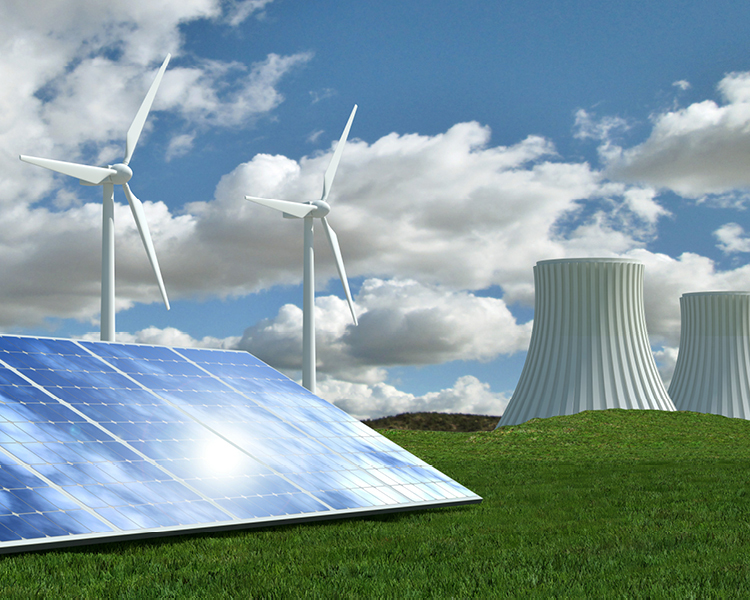 Solar and wind have experienced rapid price reductions and global uptake has soared. At home, the UK’s continued year-on-year reduction in GHG emissions has largely been driven by the deployment of renewables in the electricity sector (alongside the switch from coal to gas). With nuclear and CCS falling behind, can we meet our 4th and 5th carbon budgets through continued deployment of renewables alone and what does this imply about the journey to 2050 and beyond? Jo is responsible for the ETI’s Strategic Analysis team, which has recently transferred to the Energy Systems Catapult. The team uses their suite of ‘whole system’ energy models and tools to explore energy transition pathways and the opportunities and challenges around delivering them, as well as defining innovation opportunities that can help deliver an affordable and secure low carbon future energy system. Prior to joining the ETI, Jo worked in Shell for over 20 years in various technical and managerial roles spanning engineering design and construction, oil and gas field development, national energy planning, economics and business development. She has worked in the Netherlands, Brunei, Oman, UAE and Malaysia. Jo has a Master’s degree in Engineering Science, an MBA in International Management and is a Chartered Engineer and a Fellow of the Institution of Mechanical Engineers. Many legal treaties protect the land, subsurface and oceans. Very little protects the atmosphere. Yet fossil energy and biomass extractors, and energy users are able to discharge excessively into common air quality. Reducing emissions through focusing on clean electricity has failed on price against low cost renewables, but has succeeded in stigmatising coal use. However what is needed is a fundamental move to balance extraction of carbon to storage of carbon. That requires more than adjusting electricity with CCS, a revolution is required in heat, and transport. Achieving net-zero carbon accounting around 2050 will require NET storage of already-emitted carbon using biomass, and extracting from air. All these sinks depend on CCS being developed. Optimistic extrapolation of historic CCS construction shows that CO2 storage rates by 2050 will be 10× too slow. Achieving a carbon balance requires sustained unprecedented revolutionary effort to 2110. Stuart Haszeldine trained as a geologist. The first half of his career was extracting hydrocarbons from the ground, and increasing greenhouse gases. The second half of his career is trying to capture greenhouse gases from human activities - and replace these into geological and biological storage, with a focus on geology beneath the North Sea. 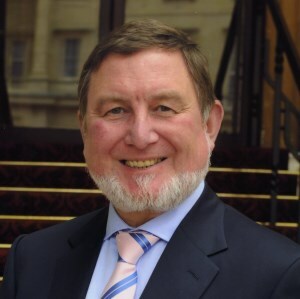 Haszeldine served on the Oxburgh Parliamentary Advisory Group review of Carbon Capture and Storage in 2016, in 2012 was appointed OBE for services to climate change technologies, and in 2011 was awarded the Geological Society William Smith Medal for applied geology. Haszeldine occasionally advises both UK and Scottish governments, when facts and logic are fashionable. A decarbonised electricity system that relies on a high penetration of renewables and nuclear to generate electricity will require energy storage. There is no one-size-fits-all solution to energy storage on the grid. There is no silver bullet. Storage is required to operate on different timescales and across a range power levels. Batteries will play their part. They are already in use worldwide delivering ancillary services to power grids. The current technology of choice is the lithium ion battery. The requirements for storage on the grid, the role of different battery technologies, the prospects for cost reduction and the limitations of batteries will be discussed. 15:50-16:10 Global challenges in the nuclear sector, BREXATOM and new build: what do these mean for nuclear energy’s role in the UK in 2050? The Nuclear Sector forms a critical industry for the UK, delivering 18% of the nation’s electricity requirements, employing over 65,000 people, and providing supply chain opportunities for companies across the UK and exciting and rewarding science and engineering careers which attract the best graduates. In these uncertain Brexit times we must make sure we give this important sector the boost it needs to keep pace with the rest of the world or we will be left behind. Key countries like China are moving ahead apace with further development of the best of modern nuclear technology. Meanwhile our existing nuclear fleet except for Sizewell B will retire within the next decade: projects beyond Hinkley Point have stalled: the western developed world appears to have great difficulty in financing nuclear projects: we have forgotten that nuclear energy plays a vital role in medicine and in food security and that fast, easy transfer of materials, components and people is essential and at risk with BREXATOM: we are struggling to get the necessary investment in research, development and technology innovation to give us affordable, secure, sustainable nuclear energy for 2050. We need a different approach to develop policy & economic instruments to make it happen: might small modular reactors be a better fit for a future high-renewable mix; should we be jumping a generation of technology and if so what needs to happen to make it so? Ron Oxburgh (Lord Oxburgh of Liverpool) trained as a geologist/geophysicist (Oxford & Princeton). He subsequently taught, researched and built instrumentation in those disciplines at Oxford, Cambridge, Stanford and Caltech. At different times he has been Chief Scientific Adviser to the UK Ministry of Defence, Rector of Imperial College London, Chairman of Shell Transport & Trading, President of Queens’ College, Cambridge, Chairman of the House of Lords’ Select Committee on Science and Technology and President of the Carbon Capture and Storage Association. He is Chairman of GEO and an adviser to the Government of Singapore on energy, environment, research and higher education. He chaired the UK inquiry into the future of carbon capture and storage that reported in September 2016. He is a member of various UK and overseas academies. The UK climate change act already mandates emission reductions of 80% by 2050. The Paris agreement requires eventual 100% reductions, and in 2016, the then energy minister Andrea Leadsom said that the goal of net zero emissions would also be enshrined in UK law. Carbon pricing and innovation policies are critical to achieve these targets, and these will be briefly addressed drawing upon recent work of the World Bank and the Climate Leadership Council. But the final 20% will be far from easy, and more will be required. This paper will also attempt to identify the elements in the set of "Heineken policies" post Brexit - policies which address the sectors that other policies cannot reach. The UK has a unique framework for linking near- to medium-term climate action to long-term goals through the Climate Change Act and the carbon budgeting system. But the Paris Agreement, which includes the aim of balancing emission sources and sinks in the second half of the century, takes ambition to a new level. Seen from this perspective, near-to medium-term policies, for all their challenges and intricacies, are the easy part. We also need policies that open up options for the longer term up to and beyond 2050. Encouraging and enabling innovation is key to meeting this challenge. This presentation will focus on current innovation trends and efforts, globally and in the UK, and assess the extent to which they match up to climate policy aspirations. It will also consider innovation policies and institutional arrangements in the UK. It will end with a short summary of how IPCC will address these issues in the Sixth Assessment Report. Jim Skea has research interests in energy, climate change and technological innovation. He has been RCUK Energy Strategy Fellow since April 2012 and a Professor of Sustainable Energy at Imperial College since 2009. He was Research Director of the UK Energy Research Centre in 2004 – 2012, Director of the Policy Studies Institute in 1998 – 2004, and President of the UK Energy Institute in 2015 – 2017. Jim has operated at the interface between research, policy-making and business throughout his career. He is also a member of the UK Committee on Climate Change and Co-Chair of IPCC Working Group III for the 6th assessment cycle. He was awarded a CBE for services to sustainable energy in 2013 and an OBE for services to sustainable transport in 2004. This presentation will recapitulate the main policies tools available to policy makers in pursuit of a zero-carbon economy. Most economists consider carbon pricing to be the main policy intervention, but there are different ways of putting a price on carbon, some of which are more palatable politically than others. There is a need for additional policy interventions to encourage clean innovation, promote energy efficiency, overcome barriers clean finance and deal with any unintended socio-economic consequences, for example on fuel poverty or jobs. How these different policies interact is crucial. Professor Sam Fankhauser is Co-Director at the Grantham Research Institute on Climate Change and Deputy Director of the ESRC-funded Centre for Climate Change Economics and Policy, both at the London School of Economics. He is also an Associate Director at economics consultancy Vivid Economics and a Non-Executive Director of CDC Group, the UK’s development finance institution. Previously, Sam worked at the European Bank for Reconstruction and Development, the World Bank and the Global Environment Facility. From 2008 to 2016 he was a member of the UK Committee on Climate Change. When dealing with highly complex, interconnected systems, external stimuli do not always produce the outcomes that were originally intended. This is particularly true in the case of human policy responses to the threat of climate change. The long-term aim has been to reduce carbon dioxide emissions to acceptable levels, but initial efforts in this direction have been only partially successful. For example, the effect of energy pricing policies and carbon taxes in Western Europe has been to cause energy-intensive industries to migrate to other parts of the world, and has also created new health and social care issues associated with “fuel poverty”. Agricultural subsidies for the growth of first-generation biofuel crops have affected the pattern of global food production, with significant ecological and environmental consequences, and little (if any) effect on global carbon dioxide production. In Britain, financial incentives to reduce carbon dioxide emissions from motor vehicles have produced unforeseen side effects, leading to a complete reappraisal of policy. And the introduction of intermittent renewable energy sources prior to the availability of adequate energy storage technologies has, on occasions, led to situations in which energy companies have been paid more to switch off their generators than to produce electricity. With the benefit of hindsight, it is clear that many of these perverse outcomes could (and should) have been anticipated. A key issue that will be discussed is how to improve the processes of policy-making, so as to minimise the risk of similar errors occurring in the future. 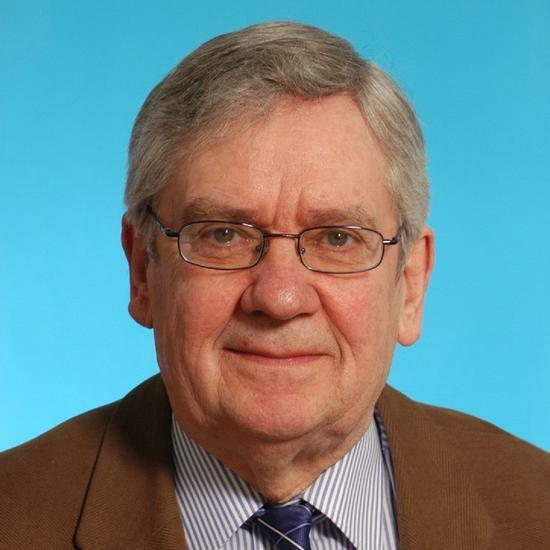 Professor George Smith, FRS, FIMMM, FInstP, FRSC, CEng, is a materials scientist with special interest in the study of the materials at the atomic level, particularly materials for energy systems. From 2000 - 2005 he was Head of the Department of Materials at Oxford University. He was a member of the MatUK Energy Materials Working Group, and led the writing of their report for the DTI on Nuclear Energy Materials. He has particular interests in the long-term safety and stability of the materials used in current-generation nuclear reactors, and those planned for use in future fusion energy systems. He retired from his academic post in Oxford in 2010, but continues to be active in research as an Emeritus Professor of Materials, and as an external consultant to a fusion energy company. Professor Jim Watson is Director of the UK Energy Research Centre and a Professor of Energy Policy at the University of Sussex. He was Director of the Sussex Energy Group from Dec 2008 to Jan 2013. Jim has a degree in engineering from Imperial College London and a PhD in science and technology policy from Sussex. He has 20 years’ research experience on climate change, energy and innovation policy. His recent outputs include co-edited books: New Challenges in Energy Security: The UK in a multipolar world (Palgrave, 2013; with Catherine Mitchell) and Global Energy: Issues, Potentials and Policy Implications (Oxford University Press, 2015; with Paul Ekins and Mike Bradshaw). Prof Watson frequently advises UK government departments and other organisations. He was an advisor to the Government Office for Science for a Foresight project on energy (2007-08). 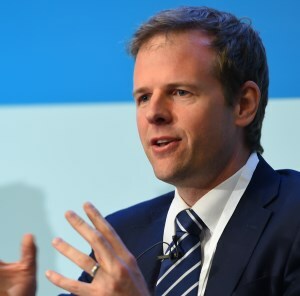 He is a judge for the Queens Awards, a member of the Global Challenges Research Fund strategic advisory group and a member of the government’s fossil fuel price projections panel. He has also been a Specialist Adviser with three Parliamentary committees. Jim has extensive international experience, including over ten years working on energy scenarios and energy innovation policies in China and India. In 2008, he was a Visiting Scholar at the Kennedy School of Government, Harvard University. Energy system transitions are often presented in terms of developing better and more sustainable technologies, or simply a matter of deploying the right economic levers to incentivise change. Social science work has emphasised, however, that publics (as individuals, citizens, and communities) will need to be central to the successful energy transition. Findings are presented from recent major studies exploring how people currently interact with energy systems and how they might view energy systems changes in the future, including social, technical and economic aspects. Through the research we have been able to create a generalised picture of UK public(s) values, criteria and conditions of acceptability people would wish to place upon future energy system change, in both supply and demand. The paper also presents findings on the way current energy systems are embedded in everyday life (often in unremarkable ways) and the associated difficulty of changing people’s practices of energy use over time. 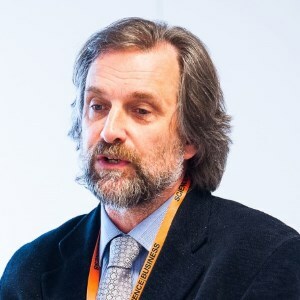 Professor Nick Pidgeon is Professor of environmental risk at Cardiff University and directs the interdisciplinary Understanding Risk group based there. He researches public acceptability and governance of environmental and technological risks. He has extensive expertise in evaluating and researching deliberative processes, risk evaluation and governance for science and technology applications. 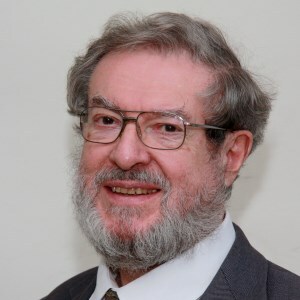 A Fellow of the Society for Risk Analysis and of the British Association for the Advancement of Science, in 2014 he was awarded an MBE for services to UK climate change and energy security policy. Any policy scenario for climate change mitigation must win political and public support, through the democratic system, if it is to be implemented successfully. Whilst many politicians understand the scientific case for climate mitigation, their ability to act depends on building and maintaining public support, whether passive or active. Rebecca will present new research from a collaborative project between Lancaster University and Green Alliance, which investigates how politicians and others can build a mandate for action. The research, based on analysis of political speech and interviews with Members of the UK Parliament, uncovers different strategies that politicians use to make a democratic case. However, it also shows a tendency to ‘tame’ climate change, shying away from discussion of its full social and environmental implications, with some maintaining that it is best not to mention climate at all. Rebecca will conclude with suggestions for ways in which all those advocating climate action can work with elected representatives to build public and political support. 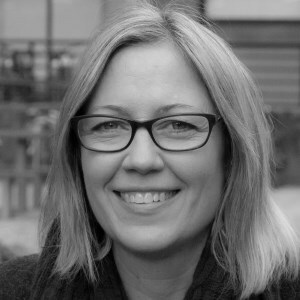 Rebecca Willis is an independent researcher with twenty years’ experience in environment and sustainability research, policy and practice. In 2009 Rebecca founded Green Alliance’s Climate Leadership Programme, an initiative to support Members of the UK Parliament. With Lancaster University, she is conducting research into political responses to climate change. She advises the Lake District National Park, where she helped to establish the UK’s first local carbon budget; and has a particular interest in local and distributed energy solutions. Rebecca is a member of the Scientific Advisory Committee of RCUK’s Energy Programme and advises the iGov initiative at the University of Exeter. She is a Fellow of the Centre for the Understanding of Sustainable Prosperity (CUSP) and a Trustee of the New Economics Foundation. From 2011-15 she was a Council Member of the Natural Environment Research Council, and from 2004-11 was Vice-Chair of the UK Sustainable Development Commission, advising the Prime Minister and First Ministers of the devolved administrations. Further information about Rebecca can be found at www.rebeccawillis.co.uk. Juliet Davenport is the founder and CEO of Good Energy, one of the UK’s first entirely renewable electricity supplier and generator companies. Good Energy was conceived as a business which could profitably empower consumers and businesses to address their environmental concerns. It has become a catalyst for entrepreneurship among dozens of renewable power generators in England, Wales and Scotland. Juliet was appointed to the Natural Environment Research Council in 2015, awarded a Harmony Professorship of Practice at the University of Wales in 2016, and was offered an honorary doctorate from the University of Bristol in 2017. 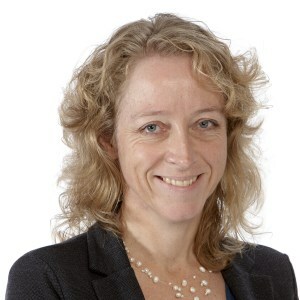 She sits on the Industry Panel for HM Treasury’s Review on Patient Capital and is a member of the Corporate Advisory Group for the British Academy’s Future of the Corporation project. 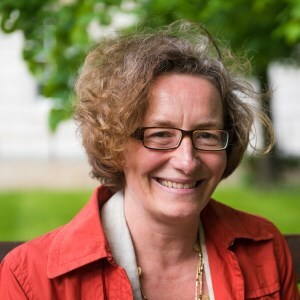 In 2017 Juliet was invited to become a member of the joint Advisory Board on Climate Change and Environmental Research at Imperial College London and the London School of Economics and Political Science. In 2013, she was awarded an OBE for services to renewables. 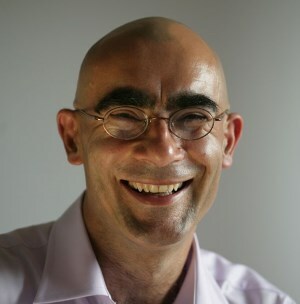 Paul Ekins has a PhD in Economics from the University of London and is Professor of Resources and Environmental Policy and Director of the UCL Institute for Sustainable Resources at University College London. He is also Deputy Director of the UK Energy Research Centre. He was a Member of the Royal Commission on Environmental Pollution from 2002–2008. 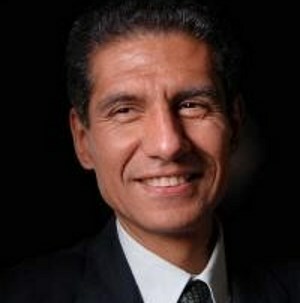 He is currently a member of UNEP’s International Resource Panel. He has extensive experience consulting for business, government and international organisations. 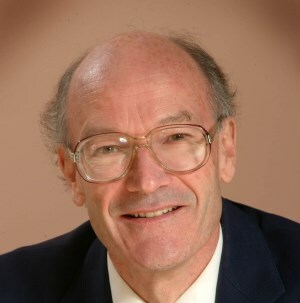 Paul Ekins’ academic work, published in numerous books, articles and scientific papers, focuses on the conditions and policies for achieving an environmentally sustainable economy. His most recent book (co-edited with Jim Watson and Mike Bradshaw) was Global Energy: Issues, Potentials and Policy Implications (Oxford University Press, Oxford, 2015). In 1994 Paul Ekins received a Global 500 Award ‘for outstanding environmental achievement’ from the United Nations Environment Programme. In the UK New Year’s Honours List for 2015 he received an OBE for services to environmental policy. Matthew Bell is a Director running Frontier Economics’ Public Policy Practice. He oversees work on climate change, as well as in a wide number of other areas including policy relating to industry, technology, innovation and healthcare. 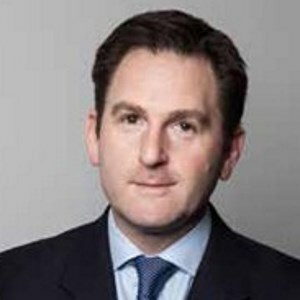 Prior to his current post Matthew was Chief Executive Officer of the UK Committee on Climate Change in which capacity he oversaw the approval of the UK’s “fifth carbon budget” that sets the emissions reduction target for 2028 to 2030 and the UK’s climate change risk assessment that sets out the risks to the UK from climate change; amongst many other activities. He has also worked on climate and other issues around the world, including across Europe, Asia, the Americas and Africa. 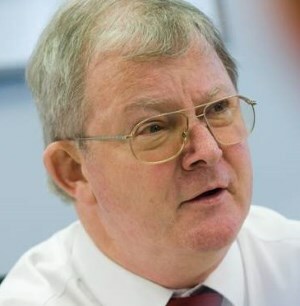 Mike Thompson is Head of Carbon Budgets and Acting Chief Economist at the UK’s Committee on Climate Change (CCC), the independent statutory adviser to the UK Government on its climate targets and carbon policy. Mike has been with the CCC since it was first set up in 2007 and leads the Committee's work on the level and scope of carbon budgets and on the progress and policy changes required to deliver the budgets. The fifth carbon budget requires a 57% cut in UK emissions by 2030 on 1990 levels, continuing the trend that has seen emissions fall by 42% from 1990 to 2016. Mike was formerly Head of Indirect Tax Forecasting at HMRC, having studied Economics at St. John’s College, Cambridge and University College London. 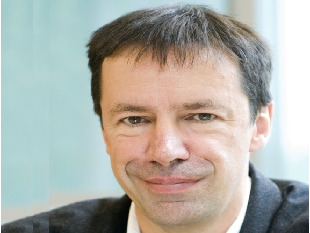 Professor Alex Halliday has been Head of the Mathematical, Physical and Life Sciences Division at Oxford University since October 2007. Before coming to Oxford, he spent twelve years as a professor at the University of Michigan and then six years in Switzerland, where he was Head of the Department of Earth Sciences at the ETH in Zürich. 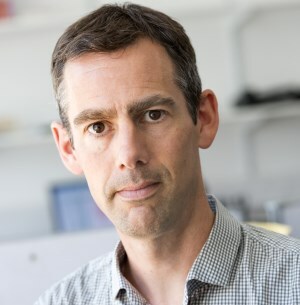 In 2004 he took up the Chair of Geochemistry at Oxford, where his research involves the use of isotopic methods to study Earth and planetary processes. Professor Halliday is a former President of the Geochemical Society and of the European Association for Geochemistry. 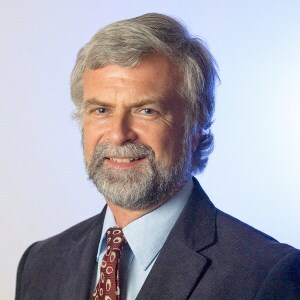 He has experience with a range of top science boards and advisory panels including those of the Natural Environment Research Council, the Natural History Museum London, the Max Planck Society, the Royal Society and the American Geophysical Union. An enthusiast for technological innovation, most of Professor Halliday's recent research is in developing and using new mass spectrometry techniques to shed light on the origin and early development of the solar system and recent earth processes, such as continental erosion and climate. However, he has also been engaged in other studies, such as the mechanisms of volcanic eruptions, and the formation of mineral and hydrocarbon deposits. Professor Halliday's scientific accomplishments have been recognised with awards including the Murchison Medal of the Geological Society, the Bowen Award of the American Geophysical Union and the Urey Medal of the European Association of Geochemistry. He was elected a Fellow of the Royal Society in 2000. Initiatives and incentives to deliver the transition to a carbon-free future.